No, this is not an article about that kind of conversation. Leave the intimate dialogues and heart-to-heart exchanges at the door. This is real, actual pillow talk! We’re going to examine all the different kinds of those fluffy, cuddly things that often share your bed-space—and we don’t mean lovers, partners or pets. There are as many types of pillows as there are types of mattresses; like there are as many parfait toppings as there are ice cream flavors. 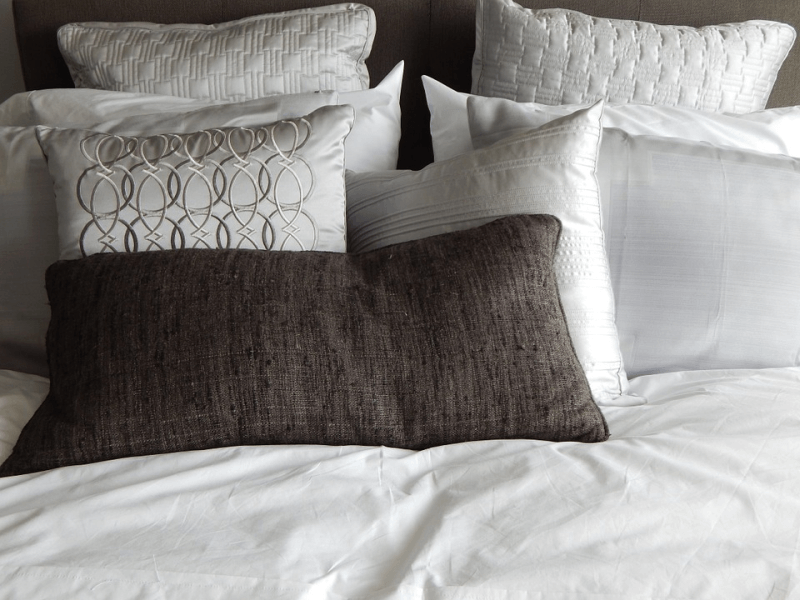 Finding and creating the best bed situation for you is not just about choosing the right mattress; pillows and bedding play their parts, as well. Don’t you think we should find out more about pillows? Considering the fact that they’re often what we rest our heads on—yes, there are people who sleep without pillows underneath their heads, but they are the vast minority—shouldn’t we know more about these things? Surprisingly, it’s not always just about what they’re made of and how big they are. There’s a wide variety of pillows out there; many traditional and cultural oddities around the world add to the diversity of this topic. Here’s the lowdown on headrests; from cushions and bolsters, to weird contraptions that nonetheless serve a bedtime purpose. We’ll be updating this list from time to time, as we find new kinds of pillows during Good Night’s Rest research. (If you’re looking for information on a particular pillow we haven’t covered yet, feel free to contact us and maybe we’ll add it to this list.) You can also click on the item names to read the full articles on each, if you want more details. Now: Let’s learn about pillows! A bamboo wife is a long and hollow bolster that is roughly comparable to the human body in size. 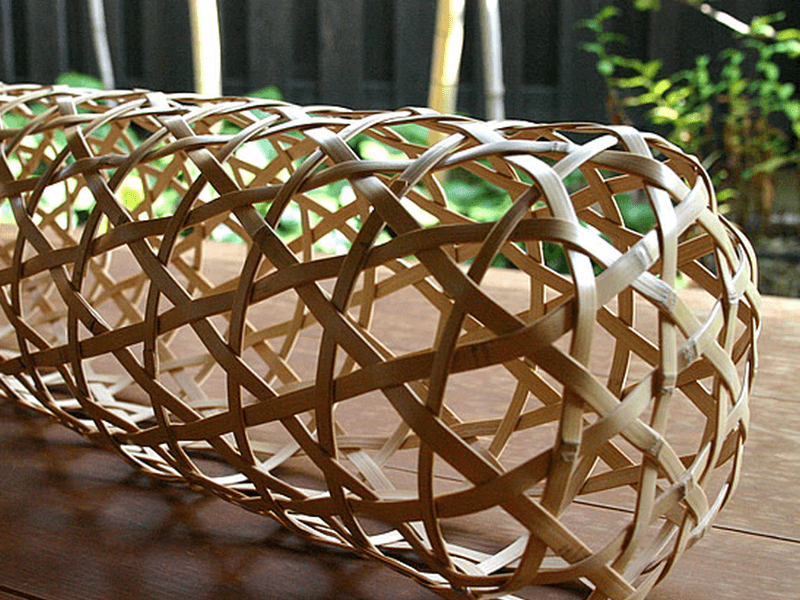 True to its name, it’s almost always made out of thinly cut bamboo strands—if not, it’s usually another material that’s easy to weave, like rattan. There are several bamboo wife variants, ranging in length and circumference, as children and adults have different needs in these aspects. There are also types of bamboo wives that are shaped differently to allow changes in sleeping position or other uses. For example: A properly designed bamboo wife can serve its main purpose, but if needed can also be a stable support structure for feet that need to be propped up. More common in parts of East and Southeast Asia, this type of hand-woven bolster is known by many names—though typically these names are just local translations of the words “bamboo wife”. In Japan it’s chikufujin, while in China it’s zhúfūrén (竹夫人); in Korea it’s jukbuin (죽부인). In the Philippines, it’s known as kawil—the local word for a fish hook or a chain link–perhaps because the bolster can be kept hanging from a wall hook. A dakimakura (抱き枕) is a type of pillow originating from Japan. Dakimakura are a little under 20 inches (or 50 cm) in width and up to about 63 inches (either 150 cm or 160 cm) in length; with a circumference of a little over 39 inches (or 100 cm). The name literally translates to “hug pillow”—daki (抱き) means “to embrace” and makura (枕) means “pillow”)—but these bedtime companions are often compared to or lumped together with orthopedic body pillows that are more common in the Western world. Dakimakura are heavily associated with otaku culture; they are very popular among anime and manga fans. This intertwining began in the 1990s, when dakimakura started featuring large, almost life-sized prints of fictional characters on their surfaces. It became a way for anime and manga fans to get up close and personal with their favorite characters. Dream pillows—small, soft cloth bags filled with a blend of aromatic ingredients—are also called comfort pillows, sleep pillows or herb pillows. They are similar to sachets filled with potpourri that are traditionally placed in closets, dresser drawers, with stationery packs and even hung on doorknobs; the point is to impart a pleasing scent to the atmosphere of the enclosed space. The main difference between the typical sachet and the dream pillow is the intended use. A dream pillow, true to its name, is supposed to help induce pleasant slumber. In general, dream pillows contain one or a combination of fragrant, relaxing and sedative herbs; usual ingredients are Chamomile, Hops, Skullcap, Valerian, and more. Various herbs from the mint family are also frequently included; such as Peppermint or Lemon Balm—and of course, the most common by far, Lavender. 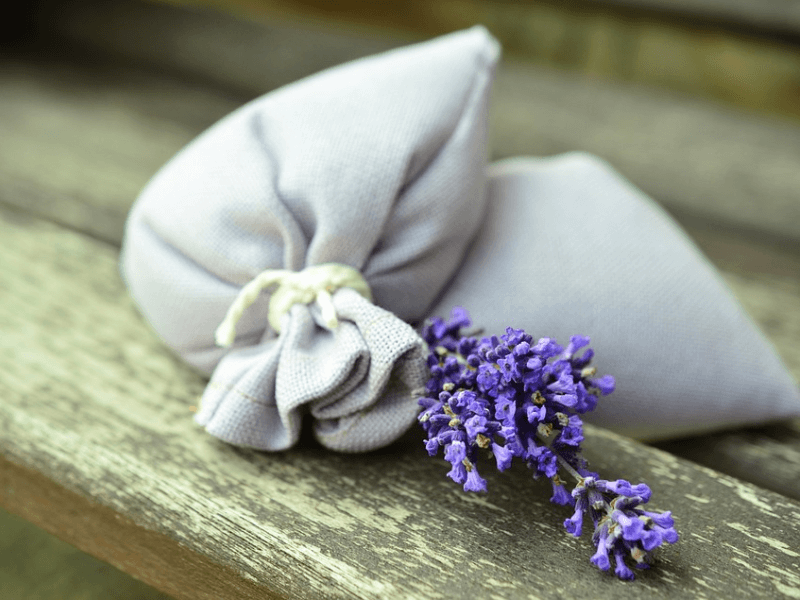 An enduring contemporary variation of the dream pillow is one containing Lavender or a blend including it; due to the popularity of the herb as a medicinal aromatic and its pleasant fragrance. Although the term “husband pillow” can be misleading, it does have understandable roots. The size, shape and function of the type of pillow the term refers to is very useful for sitting activities of pregnant and nursing women—although the husband pillow is very different from the large, therapeutic body bolsters commonly known as maternity pillows—and that’s how the informal name for it started. The husband pillow is basically a padded backrest with arms. Sometimes it is also called a reading pillow. 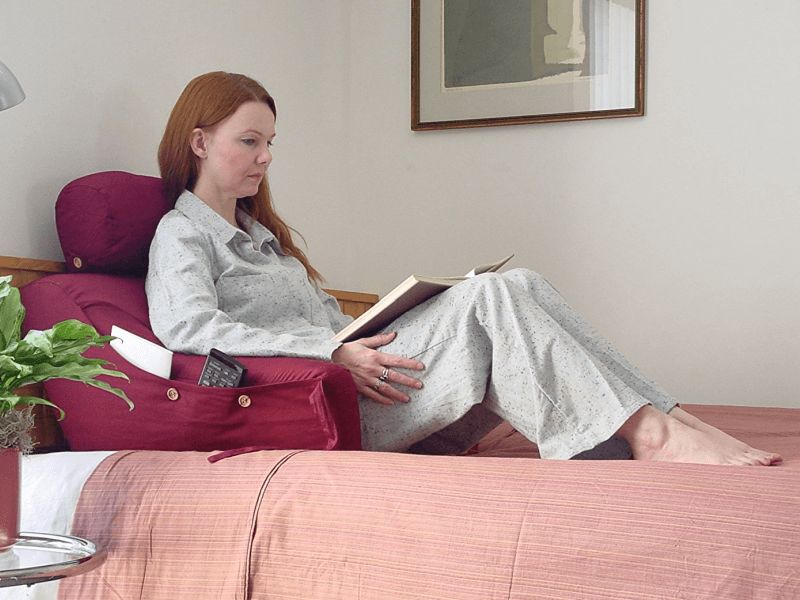 It is designed to support your back and sides unobtrusively while you are sitting upright and not asleep. You can use a husband pillow while you are reading—hence the alternate name—as well as when you are watching television, playing video games, or using a smart device like a tablet or a phone. 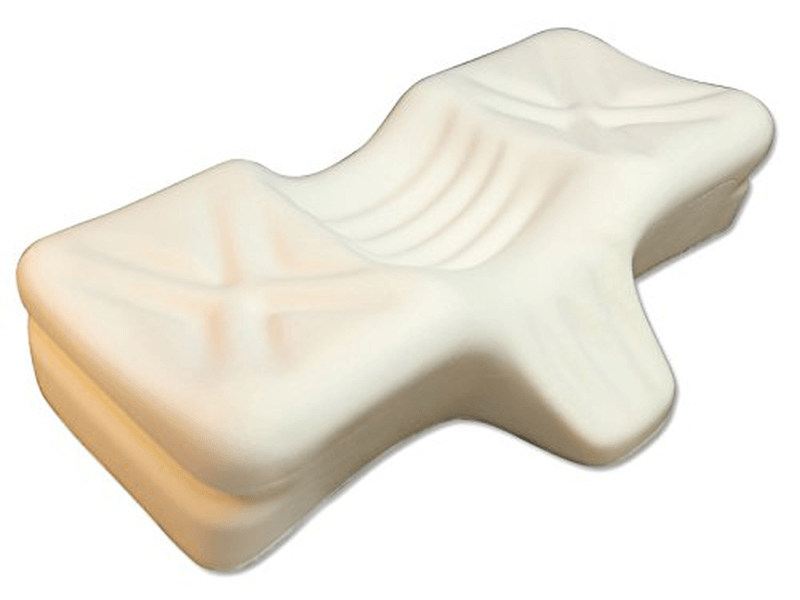 While a husband pillow is not a necessity for most of us, pregnant or breastfeeding women find the lumbar support very comforting and useful; and it does simulate, however vaguely, the feeling of resting against the chest of a husband. We spend about a third of our lives sleeping; and even more just lying in bed or sitting in a comfortable position. Normal pillows bolster the head, neck or other body parts; orthopedic pillows take this to the next level, as they are specifically designed to be therapeutic and helpful. 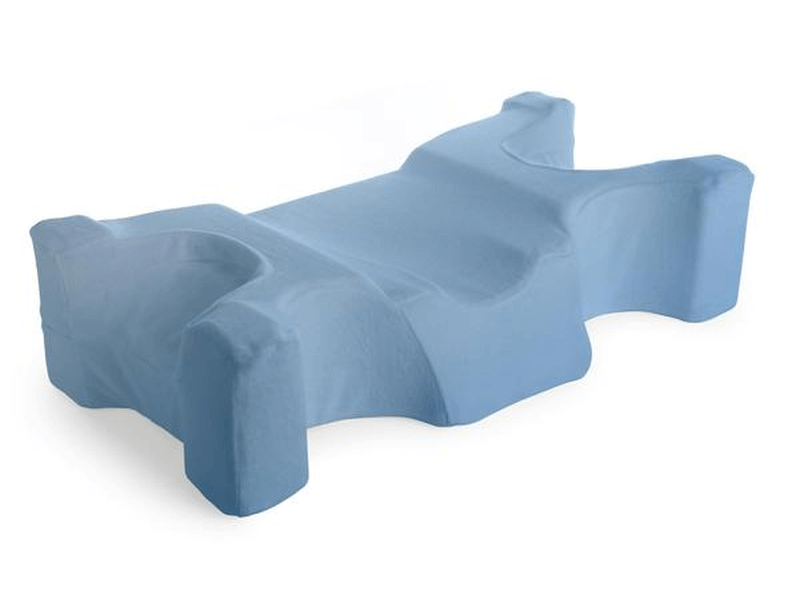 Pillow designs follow orthopedic guidelines, and can be very specific in nature; but overall the purpose is to help maintain a healthy sleeping or resting position, through proper placement and support. Because orthopedic pillows are also known as therapeutic pillows, some designs even claim to be able to help with non-orthopedic difficulties. Pain and stress related to respiratory issues, blood circulation problems, and gastroesophageal troubles can be eased by these pillows. This is on top of possible relief from many different kinds of physical pain—lower back pain, neck pain, post-injury pain, sciatica pain, whiplash, and more. Overall, the result is less discomfort; which is great, because that contributes greatly to better sleep quality and longer sleep duration. Pregnancy pillows, also called maternity pillows, are a very specialized kind of orthopedic pillow. Over the nine months of a pregnancy, an expectant mother will experience many difficulties. On top of other changes—new vitamins to take, a modified diet to stick to, activities that need to be toned down, new clothes because old ones don’t fit—there is the very real problem of possibly not getting enough rest and sleep. Because a pregnant woman has to contend with the unfamiliarity of her body’s increasing weight and changing shape, bedtime can be an ordeal: a lot of aches, pains, and plain discomfort. As with any orthopedic pillow, proper support and placement of a pregnancy pillow or two while resting can encourage or maintain a better sleeping position; which can dramatically improve sleep quality and overall health. Side note: This also benefits anyone that happens to be sharing the bed with the mother-to-be; as tossing and turning will lessen, if not cease. The takamakura was used by geisha–and to this day, by maiko—while resting, but it is by no means intended to provide comfort. Instead, the purpose is for them to be able to preserve their elaborate coiffures even as they sleep. The term bachimakura (罰枕)—literally “punishment pillow”—is also used, sometimes interchangeably with takamakura; but it’s not as common. 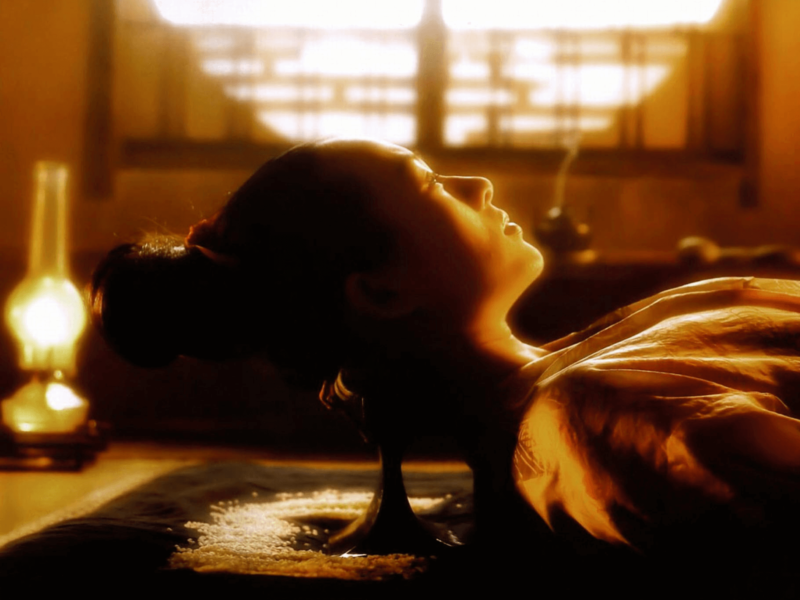 In the book Memoirs of a Geisha, Arthur Golden describes the takamakura in this passage: “It’s not so much a pillow as a cradle for the base of the neck. Most are padded with a bag of wheat chaff, but still they’re not much better than putting your neck on a stone.” Historically, samurai also slept on takamakura to preserve their topknots—called the chonmage (丁髷)—though this is not as prominently documented as geisha use. And though the takamakura has long fallen out of common usage, the term endures in the popular Japanese phrase “taka-makura de neru”. Loosely translated, it means “to sleep in peace” or “to sleep without worrying”.